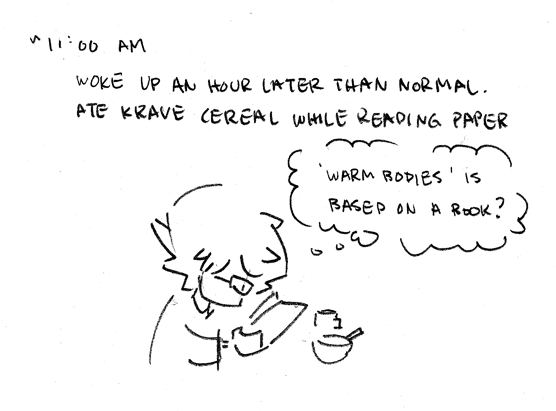 Am I being lazy by just linking to the comics I did for this year’s Hourly Comic Day? Yeah, but the last few days have been busy (or at least too busy to work on this here webcomic), so it was either this or I pull some cutesy picture of a dog from Google Images and put some kind of meme-ish caption that also serves as my excuse. Be thankful it was the former. Anyway, here’s the links for part 1 and part 2 of my hourlies, so enjoy!